Hi all, long time reader but first time poster! my boyfriend and are are flying into Bangkok next Octiober & flying out of Kuala Lumpur & we're looking for helo finding the best places to visit. travel is easy, there are buses and planes and even a train to Kuala Lumpur. air asia is the budget airline, the last time i flew from KL to Bangkok it was 80 US and i bought the ticket at the airport 2 hours before the plane left. **NOTE air asia has their own airport in KL so be sure you are clear with your driver which carrier you are flying with. hostelworld.com and hostel.com are great resources for budget hotels and guest houses. There are ratings for location so if you want to find a smaller place out of the mix of things for cheap read the reviews. Pick up a lonely planet on a shoe string for budget minded travel but also keep in mind that everyone has one so places to stay listed in them usually are crowded and booked. We had a lot of fun on a day trip from Bangkok to one of the tiger temples with bamboo rafting, an elephant ride and a visit to the bridge over river kuai, definitely touristy but it was only for a day and it was nice to get out of the city. The royal palace should be on your must do list, also enjoy the massive crowds of tourists and shopping on Ko San road in Bangkok, its a little crazy but fun. Also visit Chinatown. take a Thai cooking class on one of the islands or a diving course both are cheap and fun. If you're trip is kicking off early October, you can expect some rain along some of those legs - in particular, probably not everything will be open on Lipe and Lanta in early October. Other thoughts, I'd choose between Ko Yao Noi and Ko Yao Yai rather than visiting both. 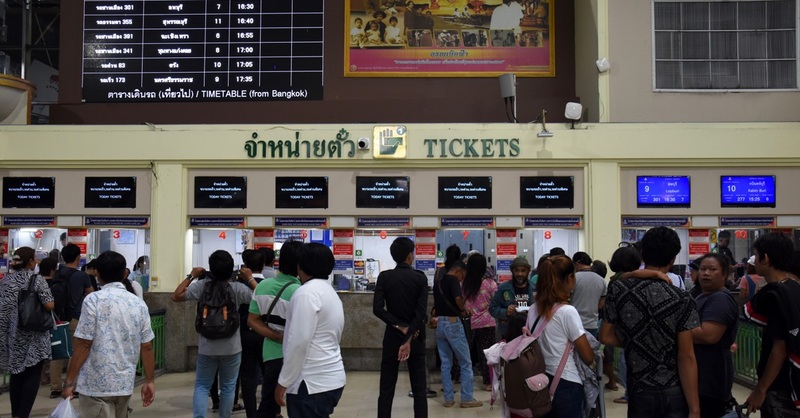 You'll need to transit overland from Ko Yao Noi to Lanta and again to Lipe (they are not all connected by boat). Langkawi in nice, I was there earlier this year and was pleasantly surprised by it, but after all that beach you already have, I'd suggest considering Penang -- the beaches are so so but the food and Georgetown itself, are lovely. Not been to Redang, so can't help with that. Redang is pretty quiet and small. All about the basics. Worth seeing if you want some time to just relax and chill. Peninsula Malaysia west coast islands Langkawi , Pangkor have dirty water with heaps of jellyfish. I would not go there for swimming/snorkelling. But you can take a speedboat from Langkawi to Koh Lipe in Thailand for nice snorkelling. hi there! wow, 3 weeks is very long indeed. have fun! if you're adventurous, a nature lover and not so much of a fan of the city, you should try visiting a kampung (village) - where you can enjoy the nature like rainforest, river, waterfall and stuff. i went and i love it. tasted local fruits and all. Just got back from three weeks in Thailand. Lanta roundhouse on Koh Lanta was great, beach huts were $10 a night and it was very quiet with a fantastic owner named Nadia (lantaroundhouse.com). Koh Phi Phi was breathtaking, much better than Phuket with great snorkeling and diving and a quick ferry ride from Koh Lanta (one daily in the low season leaves at 8am). Youshould consider making a travel station in Phuket,Thailand and in Kuala Lumpur, Malaysia. Finishyour trips in Phuket, Thailandand move on to Penang , Malaysia (nearest point). Penang is a popular island destination with some nice beachessuch as Batu Feringghi, Teluk Kampi, Jerejak island, Tg Bungah and TelukBahang. FromPenag, take a fast ferry connection to Langkawi islang. Again plenty of beachesand islands hopping like Singa, Payar Marine park, cable car, marina and blackbeach. Movingon from Langkawi to other places including Pangkor bu bus. From Langkawi, takea ferry to Kuala Perlis and connects to Lumut where Pangkor is reachable byboat or ferry. Otherislands include Redang and Tioman in the South China Sea.They can be reach by air (from Subang airport) or by land and then using ferry. Atthe Borneo island, the places of interestinclude marine park at Kota Kinabalu and Sipadan island. Travel there needplanning earlier and flight bookings as travel by air will take more than 2.5hours. Youmay want to consider hiring a travel programme writer. I can consider yourrequest on a nominal fee. Thank you and all the best.